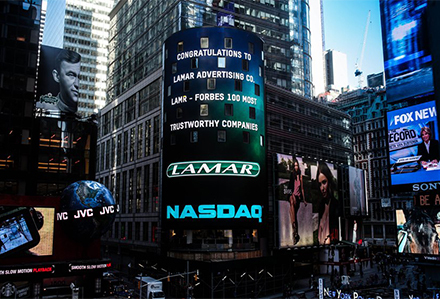 Lamar Advertising Company was named one of 'America's 100 Most Trustworthy Companies' by Forbes. A congratulatory message from NASDAQ (shown above) ran on a digital spectacular in Times Square. Many of the companies on this ranking are new this year or have only appeared in one or two of these lists over the past seven years. Kaplan points out that in a ranking that reviews thousands of companies for numerous factors over four short quarters, one minor event can easily knock a company off the top 100. Further, companies that don’t appear on the list aren’t necessarily engaged in wrongdoing–these are merely the 100 with the most sterling reputations this year. 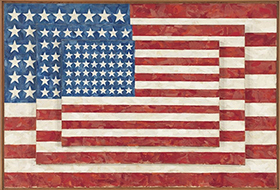 The original article appeared on Forbes.com.